Renaissance Fine Jewelry & Gallery opened its doors at 141 Main Street in Brattleboro in April 2005, with a mission to offer the community a team of designers and jewelers with a shared vision and philosophy: to create extraordinary jewelry that is truly wearable art. This team of artists exemplifies the creative process in its attention to every detail in the design, fabrication, presentation and delivery of fine jewelry. After time is spent with each client to understand his or her hopes, ideas and sensibilities, the form, contours, finish, texture, colors, metallurgy, and gems all play a role in the design process. Co-owner Caitlyn Wilkinson, along with Dana Chase, Hope Higbie and Gabriella Gibbons, form the creative team at Renaissance Fine Jewelry. As of December 1, choice selections from their design work are displayed on the Gallery wall in the form of large, photographed canvases taken by Alex Lawrence, in addition to the exquisite real jewelry in the boutique's display cases. Photographer Lawrence (also a website designer and tattoo artist) shows some of the team's unique designs while creating his own artistic statements in these larger-than-life images. Beauty and art blend wonderfully at Renaissance Fine Jewelry & Gallery. Numerous artists' work has hung on the large walls of this Gallery, and now it is fitting that the creative work of the jewelry designers be highlighted. Lawrence's photographs will be on display through the end of January. Wilkinson very clearly communicates the passion and pleasure that people experience while wearing beautiful jewelry. A Vermont native who attended UVM, Caitlyn has been working with jewelry for over sixteen years. After working for two other jewelers for a total of three years, she managed VonBargen's Jewelry in Burlington, Vermont from 1993 to 1999. Then she started her own business designing and selling wholesale jewelry before opening Renaissance Fine Jewelry & Gallery with her mother, Wendy Lillie. Wilkinson studied with the Gemological Institute of America, where she continued her education in gem and jewelry studies. Master jewelers and designers Michael Good, Alex Sepkus and Michael Bondanza are a few of the couture designers whose work has influenced Caitlyn in her art. As for her own designs, she elucidates, "My inspiration comes from the enchantment I experience with a part or form of an object. I tend to dissect the details of the object until I capture a section that functions as the germinating seed for the creation of a one-of-a-kind jewelry piece." Caitlyn also admits to being a history buff and served as Vice President of the Bellow Falls Historical Society; therefore, it's no surprise to find a vast offering of antique, estate and vintage jewelry at Renaissance Fine Jewelry. 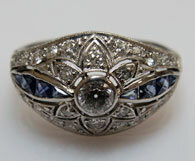 Victorian, Art Nouveau, Edwardian and avant-garde jewelry adorn the display cases. "I love estate jewelry because of the hand fabrication, engraving, piercing and chasing that only a few specialists in the field continue today," shares Caitlyn. "Each piece of jewelry is an exquisite piece of art -- it is unique, with a complexity of design, incredible workmanship and intricacies. I'm so excited to share these small historical objects with others and am delighted to offer some pieces that are 180 years old!" Passion is a common term whenever art is discussed, and Caitlyn's passion for jewelry is shared with all the designers on the Renaissance team, including Dana Chase. 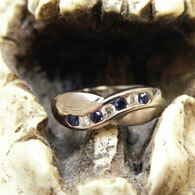 Also a Vermont native, he has had a fascination with gems and working with his hands throughout his life. Chase's background includes creative relatives, so it was no surprise that his eyes, ears and hands were drawn to the arts at an early age. Some people are still wearing sterling silver, semi-precious jewelry and name rings for couples that Dana created for classmates in high school during the 1970s. He worked professionally as a cabinet builder and in the machine tool industry while continuing his design work at his bench at home. The need to create with his hands led him to continually create jewelry for selling at shows. Chase joined VonBargen's Jewelry in 1987, where he met and worked with Caitlyn Wilkinson during his 19-year tenure there. Chase happily pursued his dream of building fine jewelry and was exposed to some of the finest manufacturers and jewelers in the business, including David Yurmans, Mark Patterson, Stephen Kretchmer and Michael Bondanza. 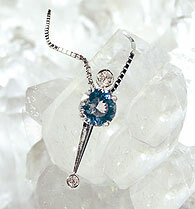 "The influence of many fine jewelry designers has inspired me to bring my own abilities to the needs of my clients. One of my strengths is to listen to my clients' ideas and to transform their words and our communication into fine jewelry that fits their taste and needs." In 2005, Dana created his own business, Dana & Co., which now includes the training of his 25-year-old son Nicholas at the bench. "I'm very proud and pleased to be passing on my passion and talents to my son. I feel so satisfied to have touched so many lives in such a positive way, to provide the gifts that mark the most important events in peoples' lives and to build pieces that I know will be enjoyed for generations to come." Hope Higbie experienced passion for fine jewelry at a very young age and loves being an accomplished fine jeweler, goldsmith and silversmith now. Following her passion early on, she graduated from the Rhode Island School of Design with a BFA in Jewelry/Light Metals. She worked as a silversmith and goldsmith restoring antique flatware and jewelry in New York City for two years before she became the only female, only American and the youngest jeweler in the prestigious House of Harry Winston. As the company's charter apprentice, her first assignment was to create a pair of earrings from a rare collection of orange, champagne and cognac-colored diamonds assembled by Ronald Winston himself. "My experience at Winston was expansive: first by understanding and appreciating the Winston style of design whereby the visual focus of the piece is on the stones, not the metal settings. I also learned the craft of flexible metal settings, enabling me to achieve the look of stones seemingly dripping from air itself. 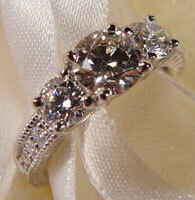 More important, my experience at Harry Winston gave me the confidence of working with top-quality gemstones." In 1994, Higbie launched her own business, Hope Higbie Designs. She creates one-of-a-kind, important jewelry by using the same quality and caliber of gemstones that she became familiar with at Harry Winston, but she has also developed a core collection in both silver and gold featuring four suites, which include necklaces, earrings, rings and bracelets as well as cuff links and studs. "What I value most is good design: things that are not just unique, but beautiful." 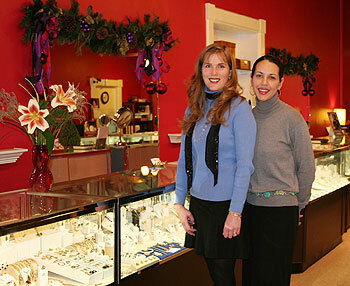 Gabriella Gibbons' journey to Renaissance Fine Jewelry has always included art and design. She began her design process as she was choosing paint colors for her father's "Tad Taylor's Fantasy Furniture," a store in Hollywood, California, featuring hand-painted furniture for children. Traveling has been a key inspiration for Gabriella, and during her worldly travels she worked as an interior designer with Taylor Design Associates and Robertsons Interiors in Australia. Gibbons also served as a designer, consultant and team member in product development for an international firm. She chose to follow her own design passions and returned to Southern Vermont where she found a home at Renaissance Fine Jewelry. Gibbons' designs take many different forms besides jewelry, including clothing, personal accessories and furniture. She also stays firmly committed to working with natural gems and stones, organic fibers, recycled fibers and objects in all that she designs. Wilkinson adds: "Life is full of amazing pleasures, and our goal at Renaissance is to create jewels that bring absolute pleasure. We are so blessed to have such a talented team who bring humor, endless patience and inspirational innovation to create jewelry that is a form of art you can wear -- art that becomes a part of who you are now -- and for generations in the future to enjoy as well." Renaissance Fine Jewelry is also excited to announce that they have expanded their line of jewelry to include all price ranges. Pandora, named after Pandora's Box, is a fascinating series of jewelry that allows each individual to design their own charm bracelet or necklace with over 600 beautiful beads including some with precious stones and cultured pearls handcrafted in 14K gold and sterling silver with superior Danish design to choose from. 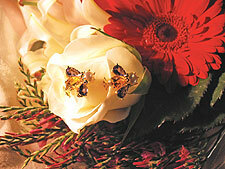 Each petite object is created to offer something charming for each unforgettable and memorable moment. Creativity in jewelry does not need to be expensive with the Pandora line, though fanciful fun and heartfelt memories seem to be evident in each piece that is chosen. Beauty is in the eye of the beholder, but it is wonderfully evident at Renaissance Fine Jewelry & Gallery that, whether one chooses something from the display case or desires a new piece to be created by a designer, the jewelry is absolutely wearable art bringing joyful pleasure to all who behold it. Jewelry photos in this article are details from large-format originals by Alex Lawrence; ruby ring photo by Caitlyn Wilkinson; photo of designers by Sharry Manning. Sharry Manning is Gallery Walk's Communications Assistant and principal of MANNING PR.